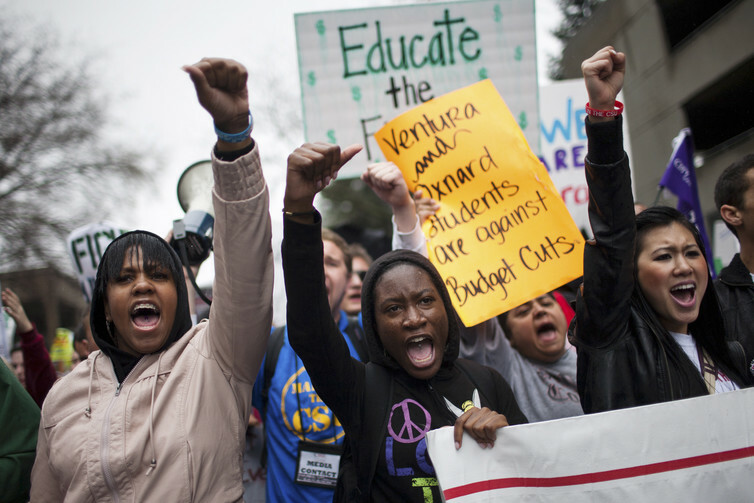 The GOP wants to cap grant money, which would put college students’ futures at risk. In her speech accepting the Democratic presidential nomination, Hillary Clinton talked about free college and student debt relief. Convention speeches are not normally known for providing details of policy proposals, and keeping with tradition, Clinton offered few details of her own. Now that we are past the conventions and into the campaign, presidential nominees Hillary Clinton and Donald Trump are likely to speak in more detail about their specific policies. What is missing in the debate about free college, however, is a discussion of the role of Pell Grants, the centerpiece of the federal government’s student aid programs. These grants, which used to cover almost the entire cost of a college education for poor students, today cover less than a third. The current Republican budget proposal would erode it even further, threatening the ability of students from poor and moderate-income families to attend and graduate from college. From my perspective as a researcher who has studied questions of college access for two decades, any discussion of free college has to include the role of Pell Grants in college affordability. What are Pell Grants and why are they important? Pell Grants were created in the 1972 reauthorization of the Higher Education Act. This coming academic year they will provide grant aid of up to US$5,815 to students from low- and moderate-income families. Last year, over eight million undergraduates across the nation received a total of about US$30 billion in Pell Grants. 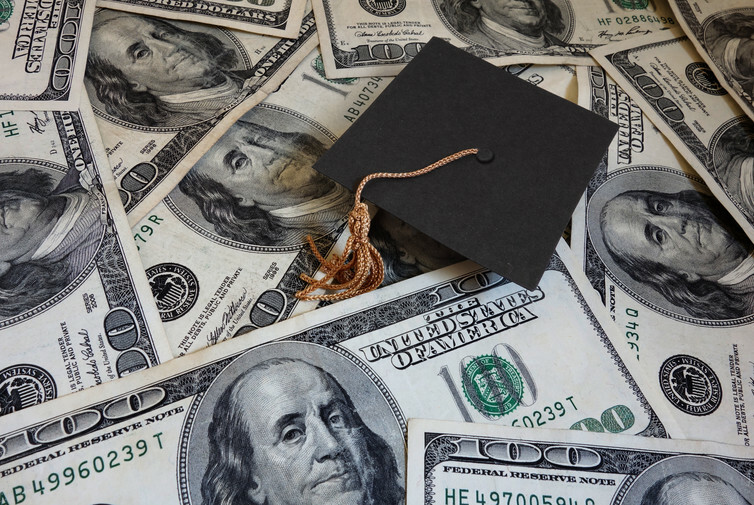 Data from the U.S. Department of Education show that in the 2011-12 school year (the most recent data available), 41 percent of all undergraduate students received a Pell Grant, almost double the 22 percent of students who received them in 1999. For most students, the funding they receive from the Pell program outstrips what they receive in aid from either their state or the institution they attend. Using data from the U.S. Department of Education, I calculated that the average Pell Grant recipient received an amount from that program that was five times greater than what they received in state grant aid and 2.6 times greater than the amount of scholarship assistance received from the institution attended. Without Pell Grants, in other words, many low-income students would not be able to attend college, or would not be able to attend full time and make good progress toward earning their degree. In a book I edited a few years ago, I demonstrated that back in the 1970s, a student attending a public, four-year university and receiving the maximum Pell Grant would have approximately 80 percent of the price of her college education – tuition, housing, food, books and miscellaneous costs – covered by the grant. If the student had no resources of her own to contribute, the remaining 20 percent of the cost was often made up through state grants, scholarships from the university, work study and perhaps a small amount of student loans. Today the maximum that a Pell Grant covers is only about 30 percent of the price of attending college for that same student. The erosion in the value of the grant is due to two reasons: 1) the rising price of college attendance and 2) a drop in the real value of Pell Grants. Since 1985, average tuition prices at public, four-year colleges and universities have increased 222 percent after adjusting for inflation. The situation at private four-year colleges and community colleges is only slightly better – average prices in the two sectors have increased more than 130 percent in real terms during the same three decade period. Pell Grants, in contrast, have grown much less rapidly. The average grant increased only 30 percent in inflation-adjusted dollars during this same period. In the latter half of the 1980s and through most of the 1990s, Congress and a series of presidents – Ronald Reagan, George H.W. 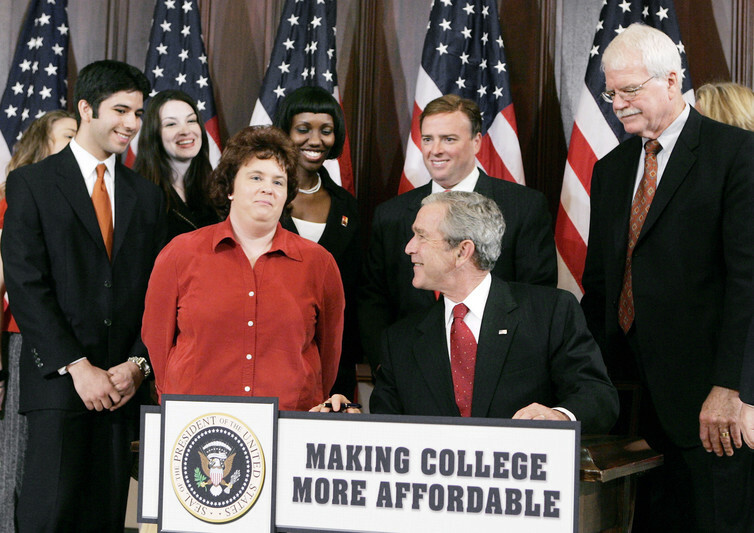 Bush and Bill Clinton – allowed the purchasing value of Pell Grants to decline even further. The maximum Pell Grant actually dropped 19 percent in real dollars between 1985 and 1996. While federal funding over the last two decades has allowed it to regain some of its value, the maximum Pell Grant today is still below the 1975 level in inflation-adjusted dollars. As bad as this situation is, it could get much worse. The current Republican spending plan in the House of Representatives proposes to place a cap on the maximum Pell Grant. What this means is that it would stay at its 2015-16 level for the next 10 years. While it is hard to predict for sure what will happen to tuition prices over the next decade, it is fairly certain that prices will continue to rise. This will cause the value of the Pell Grant to erode even further during this period. For example, again, based on my calculations, if college prices increase 3 percent per year over the next decade, and Pell Grants are held at their current level, its purchasing power at public four-year institutions would drop from 30 percent of total college costs today to only 21 percent in 2026. At private four-year institutions, the Pell value would drop from 17 percent of costs today to only 12 percent 10 years from now. The Republican proposal, if enacted, would undoubtedly have an impact on the college access and success of students from low- and moderate-income families. Constraining the grant aid available to them from the federal financial aid programs could force more students to drop out of college. Or, students could take longer to earn their degrees, or could afford to attend only a community college rather than a four-year institution. The impact on college access for these students would be detrimental to the nation as a whole. As President Obama noted in his first address to Congress in 2009, the future growth of our economy will depend on having more workers with post-secondary credentials. Without a Pell Grant program that keeps pace with college costs, we will be unable to attain this goal. Clinton and Trump should be talking about the issue of college affordability on the campaign trail. But they need to address all of the policies that help make college affordable for students and their families. Funding for the Pell Grant program is a critical component of that.